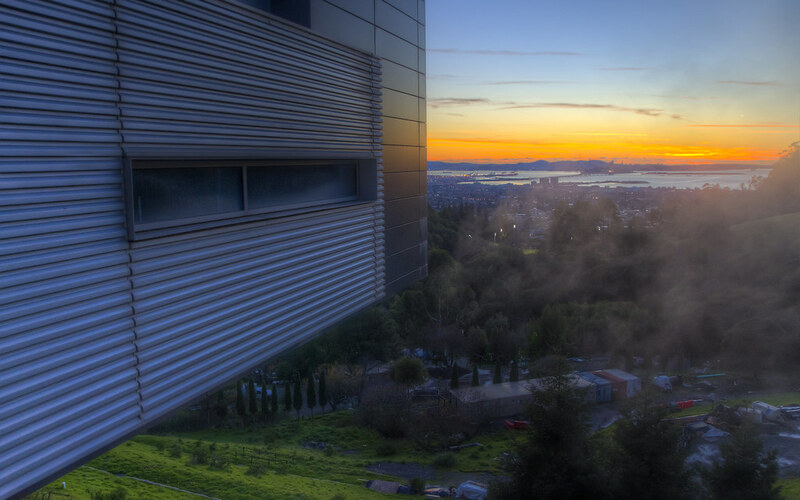 Lawrence Berkeley National Laboratory sits in the Berkeley Hills, so close to multiple centers of scientific and technological innovation; the intellectual climate on its campus is astonishing. One of the newer facilities on campus is the science-fiction-come-to-life Molecular Foundry. The most dramatic part of the building hangs in space above the bay. I can’t resist the image of a spacecraft coming in for a landing.